When you need mortise locks repaired and installed in your home or office, there is only one business to call. 713 Locksmith Houston is the expert mortise lock company. We will install or repair your locks quickly and professionally. If you live in Houston, TX and surrounding areas, call us for 24x7 locksmith service. No other company will offer quality services like we do. Why Go With Mortise Locksets? Mortise style locks offer security from unwanted predators and as such, this is the best type of lock system for security purposes. The actual mortise lock fits inside the front entrance of your home or office. The lock is encased in a pocket made by our company. The way the lock is designed will prevent any intruders from gaining access into your home. Mortise locks are a popular choice for businesses too. One of the reasons why we install this type of lock for your office is because it is hard to pick open. We know how important security is for your business. You have personal records that need to be protected. This is why the mortise style lock is the number one lock we use to secure and protect many offices in Houston, TX and surrounding areas. Why Choose 713 Locksmith Houston to Repair or Install Your Mortise Style Locks? We are proud to say we have many repeat customers who are satisfied with our quality work, along with our complete locksmith services. Our honest, local, professional, dependable, fast and friendly staff has 5+ years experience in the lock business. You know we will provide good service, because we are licensed, bonded, and insured. You can’t go wrong when you call us to help you. Only skilled professionals can install a mortise lock. Since we are familiar with woodworking and have the latest high tech tools, we are one of the few locksmiths who can expertly install a mortise lock. We also offer 24x7 locksmith services for your safety, security, and convenience. Since we are local, we can offer help quickly and efficiently. We are one of the few companies that offer a speedy response to any and all service calls. We understand how important it is for you to have security for your home or business. We do not want your property to be unsecured or vulnerable to crime. That is why we respond as quickly to your call as we would if our own homes needed lock repair services. We consider our customers and their safety needs our number one priority. 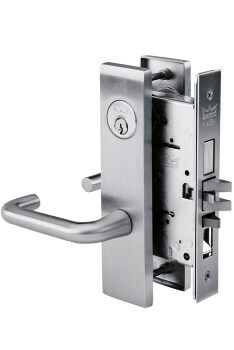 We also install and repair mortise locks regardless if they are antique locks or modern locks. Some historic homes still use vintage mortise locks. We know how important it is for these homes to maintain as much of the original hardware as possible. We will delicately and carefully handle your antique locks. Our expert technicians are skilled and knowledgeable with any type of lock, old or new. We have replacement parts for a variety of vintage locks. We also have access to parts for modern mortise locks for new homes as well. No job is too big or too small for us. 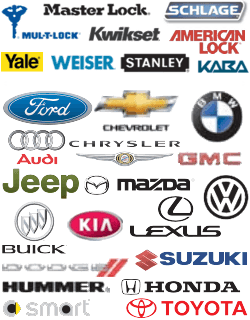 We know more about locks than any other repair business in the area. Many construction companies consult us for help when they run into problems with locks for doors. Our positive reputation precedes us. We are always glad to help. It is rewarding for us to help someone with a unique or complicated lock problem. Our expertise is hard to come by. We offer complete locksmith services for homes. When you call, our mobile locksmiths will come directly to your home or business. Once we arrive, we will assess what problem you are having with your lock. You can count on our technicians to provide you with upfront pricing. You won’t be surprised by the cost of our service because we will give you an estimate before completing any work on your lock. When you need mortise locks repaired at your home or business, call us to get the job done right. The 713 Locksmith Houston Techs are Your Mortise Lock Installation and Repair Pros! Mortise Locks Installed and Repaired http://713locksmith.com/mortise-locks/ 3.7/5 based upon 14 reviews.